JUNEAU, AK -- A life-sized whale statue has landed Juneau in hot water as a cruise ship association alleges it's a symbol of the Alaska city's misuse of millions in fees paid by visitors. The Cruise Lines International Association and its Alaska affiliate filed a lawsuit against the city and borough of Juneau on Tuesday in federal court in Anchorage. They're challenging the legality of so-called head tax fees paid by cruise passengers who visit Alaska's picturesque capital. Cruise ships collect the fees and pass them on the city. Juneau gets a $5 entry fee per cruise ship passenger in addition to a per-passenger port development fee of $3. The association estimates it has given Juneau more than $35 million in entry fees in the past four years. The group represents 12 cruise lines, including Carnival, Holland America and Disney. They contend the city has used portions of those fees on projects that do not directly benefit cruise ship passengers and therefore violate federal restrictions on entry fee taxes. Listed among the association's complaints is the $10 million price tag on a planned nearly 50-foot whale sculpture set in an infinity pool, along with upgrades to the city's waterfront. The project is more than a mile from the cruise dock. The lawsuit also lists $22 million spent on government operating expenses, $2 million for city bus services and $447,000 for upgrades to a private dock that cruise ship vessels and passengers are not able to use. The city's mayor, who is also listed in the lawsuit, did not immediately return phone calls or emails seeking comment. Juneau is in the southeast panhandle of Alaska. It is not on the state's road system and is reachable only by boat or plane. The city's easy access to whale-watching, glacier views and hiking has made it a tourism hot spot in the state. Juneau's Convention and Visitors Bureau estimates that 1 million cruise ship passengers will visit in 2016. Lawsuits over head tax fees are rare in the U.S., though passengers have sued over the amount of fees levied against them by cruise lines. 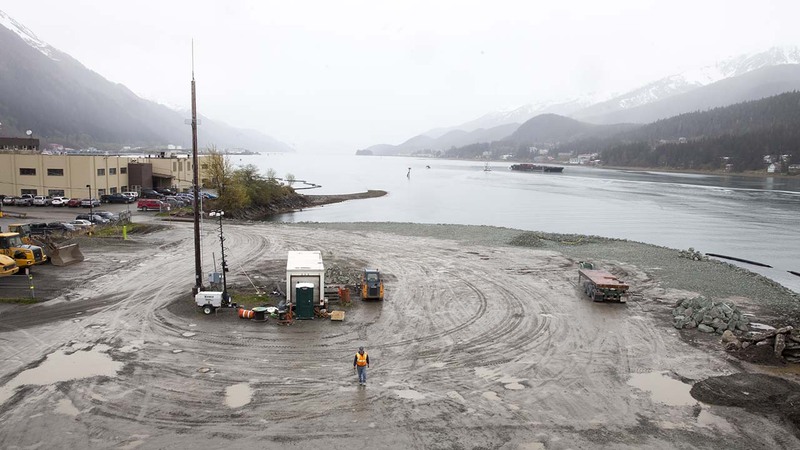 That's because while most ports charge a fee, they don't use the money for non-cruise related projects, said Alaska's association president John Binkley. "The Constitution allows you to charge a fee, but it has to be used in conjunction with that vessel," Binkley said. "You can't take the money and use it for city operations." After consulting with the national association's lawyers, Binkley said to his knowledge, Juneau's alleged misuse of the funds is unique among the ports its cruise lines visit. The lawsuit also names the city manager and finance director.